Andropause, also known as the male menopause, is the result of a gradual drop in testosterone and DHEA which are androgens, giving the condition its name. When men get into their early 30s, they begin to gradually start decreasing testosterone levels at a rate of one to two percent a year. It is estimated approximately 4-5 million men have symptoms of low/low-normal testosterone levels and only 5-10% of these men will seek treatment. 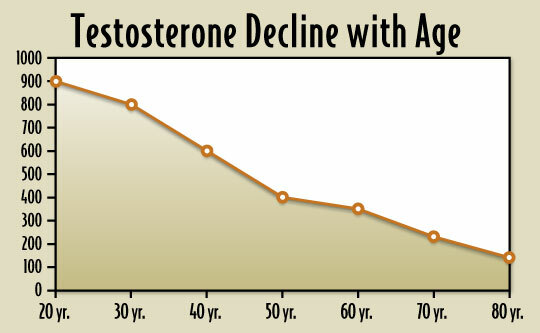 Based on World Health Organization (WHO) data, it was found that the testosterone levels in most 70 year old men were 10 percent of the level in males in their early 20s. By early 40s, men can start experiencing symptoms of andropause. The risks and benefits of testosterone replacement need to be evaluated by a qualified medical provider. It is a very individualized treatment based on labs, signs and symptoms. The great news is, with restoration of hormone levels we can return the more youthful and vital you. Contact the Desert Sierra Medical to learn more about bioidentical hormone therapy.